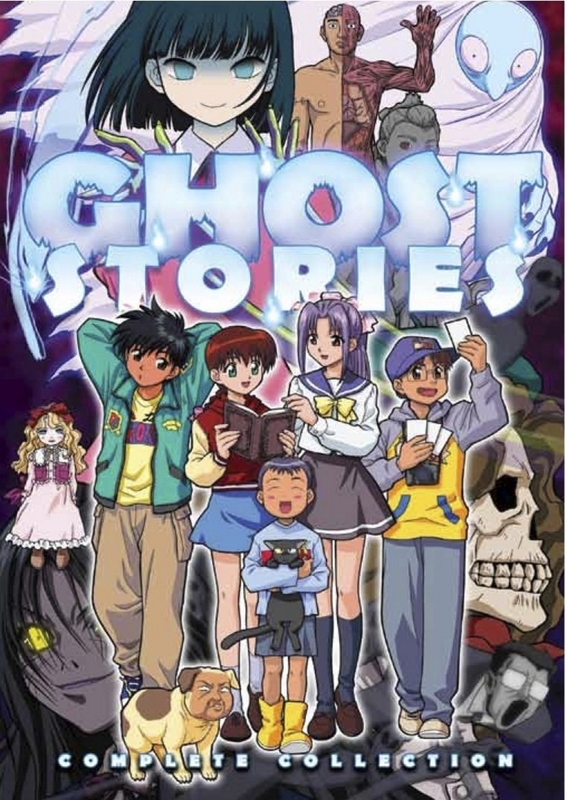 Ghost Stories first started airing in late 2000 concluding in the early months of 2001. The show starts with Satsuki and Keiichirou Miyanoshita who, after the loss of their mother, are moving with their father to their mother’s old hometown. Shortly after arriving the two siblings find themselves more than slightly dismayed by the creepy rundown building that is a part of their new school. Local legend has it that the building is haunted by a great many ghosts, however, brushing off these rumors Satsuki and Keiichirou along with some new friends find themselves trapped inside the building with some very real ghosts. As fate would have it all the ghost were once put to spiritual sleep by Satsuki’s late mother, but the recent constructions on the mountains have woken them up and they want revenge. The task now falls on these new friends to put them back to sleep. My Review: Firstly, this is a review for the dubbed version of the show, the reason why is because when the show first aired in Japan, it performed so poorly that when it was given to the dubbers they were given free rain over almost everything, meaning that the dub is quite different from the original, and from what I can tell, a hell of a lot more funnier. In fact, this was brilliantly funny. The best way to describe it would be to say it was akin to a youtube “anime abridged” series with a lot of western references, so it was somewhat strange to watch. However, that’s just about all its got going for it. I’m not sure to the extent of the difference between the Japanese and the English version but from what I can tell the plot for both is sub-par at best. Personally, I’d only watch it for the jokes, because they were very funny.